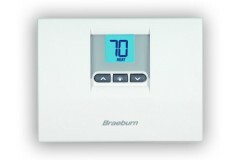 Braeburn Systems' manuals provide all the information regarding proper installation and operation of Braeburn products. Installers and users should read their specific product manuals thoroughly prior to installing, programming or operating the product. Products should only be used as described in the owners manual. Product manuals and specifications are located on the products page .